The Daily Mail reports that Atlantic Sapphire is selling land-raised salmon in the UK. Amazon-owned Whole Foods has seven stores in London but it is not known if the salmon will be sold on Jeff Bezos’ huge online platform. Atlantic Sapphire’s fish are being sold at GBP 25.9/kilo. 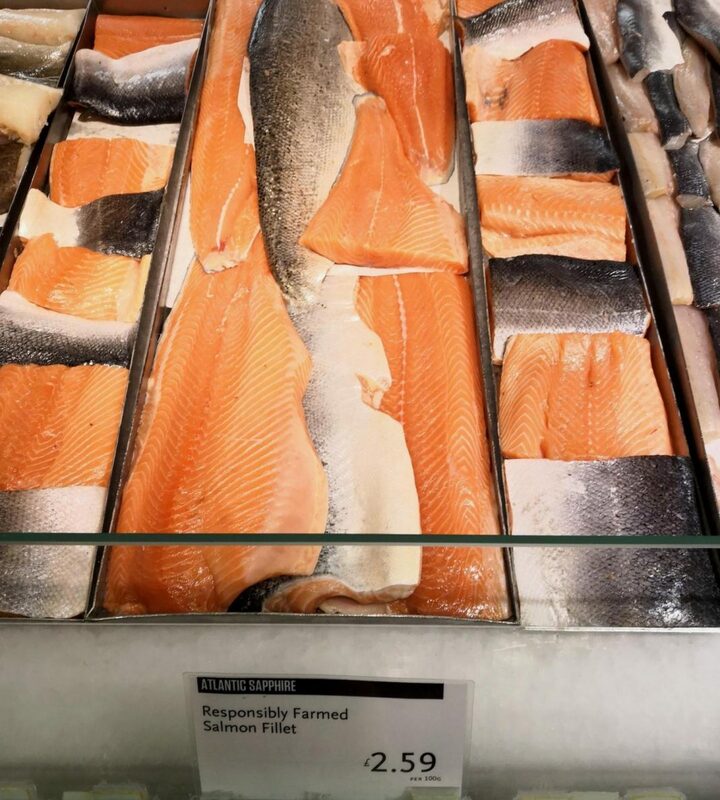 To compare, the price of Asda’s sea-farm raised salmon fillets are between GBP 13 – GBP 18/kg and Sainsbury’s from GBP 15 – GBP 23.96/kg. Marks and Spencer’s Loch Muir branded salmon is between GBP 18 to GBP 29/kg.